Comfortable contours are combined with sleek sharp lines in the mid-century-inspired Ronda Arm Chair by Moe’s Home. Displaying a simple yet sophisticated style, Moe’s Ronda Arm Chair features an injection-mold interior expertly upholstered in lush and durable polyester fabric. Supported by slender yet stable legs of steel, Moe’s Ronda Arm Chair offers an easygoing elegance on its own or in a set, in the home or at the office. Slim yet stable steel legs. What is the height of the arms? Would they tuck under table? The arm height of the Ronda Arm Chair is 24.5 inches, and should be able to be tucked in under most dining tables. 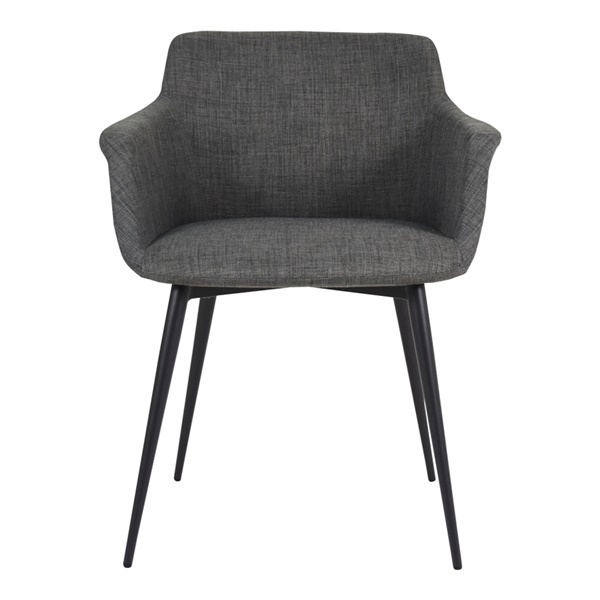 The seat height for the Ronda Arm Chair is 18.5".